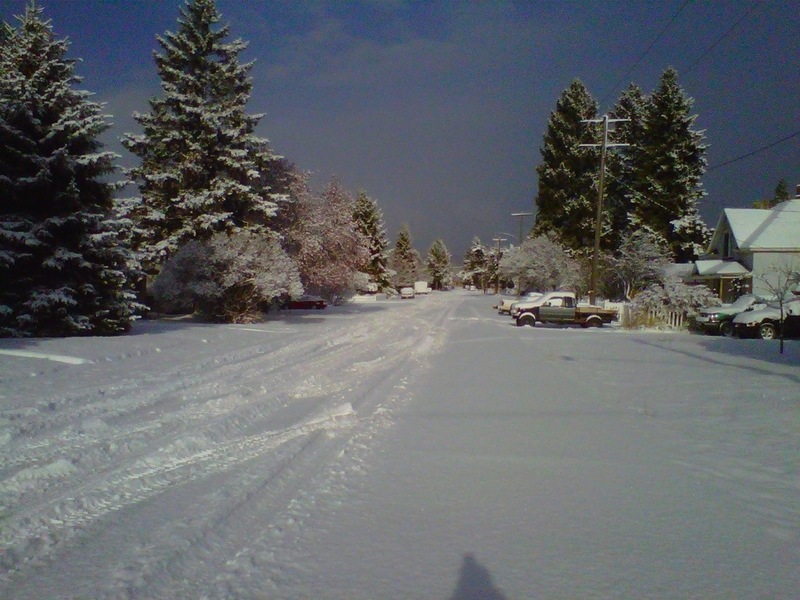 I have lived in Columbia Falls, Montana for nearly 15 years. 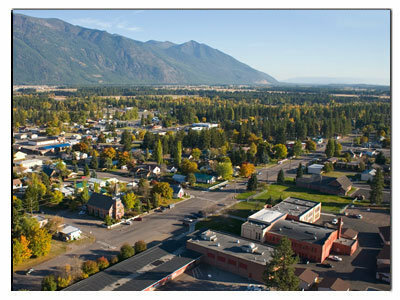 It is one of four small towns in the Flathead Valley of Northwest Montana. Northwest Montana wasn’t even on my radar growing up in suburban Michigan. But in 1998, I fell in love and decided to follow that love to Montana. My husband and I grew up together in Michigan, but he moved to Montana after college, ostensibly to work just a summer at a guest ranch in Eureka. I say ostensibly because, like so many others, once he arrived in Montana, he never left. Montana has that power. Anyhow, I followed him two years later. Initially, I planned to finish my school year in Grand Haven, move west in June, and substitute teach while looking for a permanent teaching job. 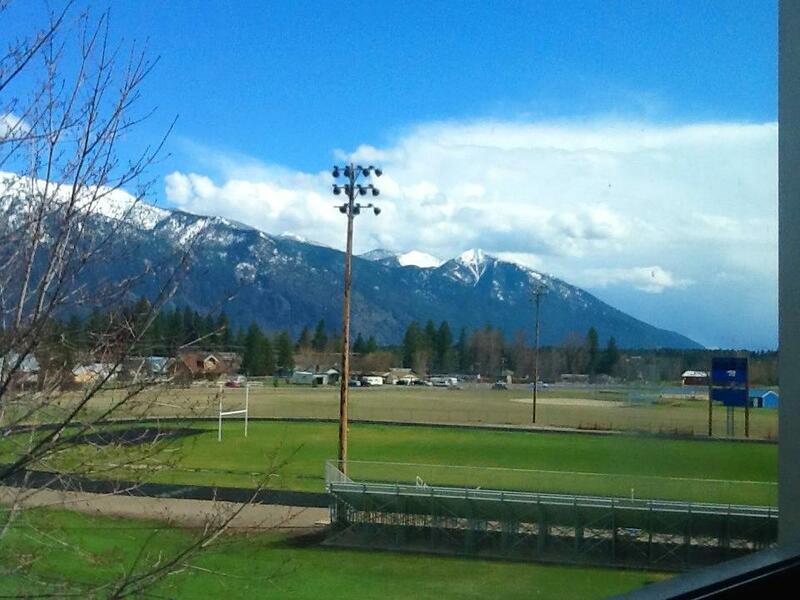 Lucky for me, a job opened up in January at Whitefish High School and I was fortunate enough for the position. On my way home, during a layover in Minneapolis, I returned the call of the principal, who offered me the job. I tentatively accepted, and the following day resigned from Grand Haven High school. I had a wonderful boss who said that he knew if I didn’t follow my heart, I would never really be happy. I graded semester exams, loaded my classroom into my car and drove to my house, where my entire family had come to help me load the U-Haul. Eric had flown out to drive back with me. We drove across the country, pulling into Columbia Falls on a Sunday night. I started work on Monday morning, after digging frantically though the U-Haul for an acceptable work outfit. That’s how I began my life in Montana. We lived in a single wide up a logging road until spring. In 1999, we got married, bought a house, adopted two puppies and I started a new job at Columbia Falls High School. This is where we have lived ever since. I love living in Columbia Falls. We are sometimes considered the poor relation to Whitefish seven miles down the road–and we will never be what Whitefish is, which is ski town. Whitefish is very cute, with great restaurants, lovely shops and a thriving tourist industry. What it isn’t, for us, is affordable. We kept seeing the same thing happen, over and over–people we hung out with in Whitefish, who always rented there, began getting married and buying houses in Columbia Falls. We certainly don’t regret it. This is now our town, our community, and we are wholly committed to it. Columbia Falls is trying to find itself as the timber industries continue to downsize. Our location is perfect: we are the last town of any size before Glacier National Park (although Hungry Horse, Martin City and Coram are along the way). We have new restaurants like Three Forks Grille, The Palette Cafe, and Base Camp Cafe. A brewery called Desert Mountain Brewing and Draughthaus is nearly ready to open. We are starting the third year of our Community Garden. We have a farmer’s market. River’s Edge Park is an amazing place to walk your dog, watch muskrats and otters and fly a kite. There is a wonderful sense of revitalization and renewal in this already great place–and it is a fun time to live here. 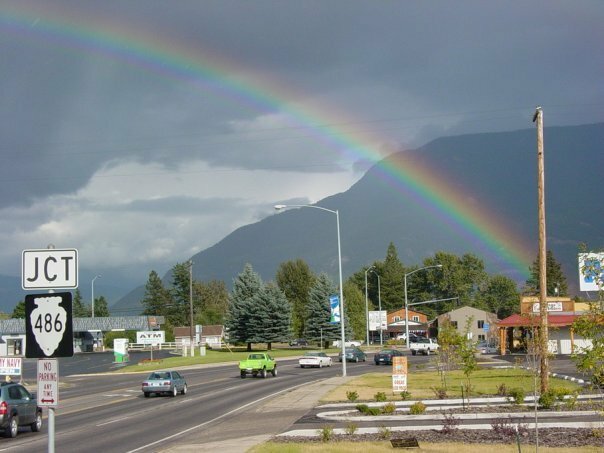 Every Flathead Valley town has its own identity, and all are great places, but Columbia Falls is something special. See for yourself–check out the promotional video I posted the other day. 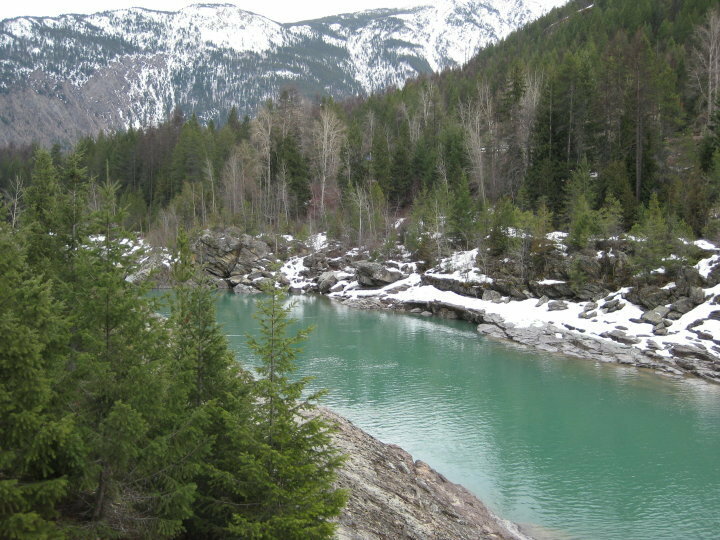 What do you love best about Columbia Falls? Or the town you live in? I have lived in Montana since 1998. 15 years. Seems like a long time. Of course, to a native Montanan, it is nothing. In Montana, the first question you are asked when meeting a new person is, “How long have you lived here?” At first I thought it was just because so many of my friends are transplants–but I’ve since decided that the question is really asking, “Are you a real Montanan?” There is a lot of distrust here of “foreigners”. I’m just grateful that I’m not from California–being from the Midwest is a pitied and seemingly forgivable offense. Not so, if you are from California. I consider myself a Montanan, even if my neighbors do not. I have lived here most of my adult life, and I reached that point where I couldn’t really imagine living anywhere else. I will never lose the Michigander part of me, however–though we definitely got lost in Michigan when we returned two summers ago for our 20th high school reunion. Granted, my husband hadn’t been there in 11 years, and I hadn’t been there in 10. Still, you would think we would remember our way around Holland, considering the amount of time we spent there in high school and college. Holy mackerel, that place has grown! We drove in circles trying to remember how to get back to Grand Rapids…and then there is this enormous new highway. It didn’t help that it was raining in sheets. We just don’t get that kind of rain in Montana. You forget what it is like (especially to drive in). You’d also think, at our advanced age, we could figure out how to navigate one way streets to get to the Amway Grand Plaza. That took another few times around the block. Since we had spent the night before with high school friends at the Lake, acting like we were still in high school and college, we were not in any condition to be amused by our foibles. Understand, driving in Montana really is very different from driving in Michigan. For one thing, there is only one interstate in the entire state, and it is 2 hours or so south of here. It is not considered a major trip to drive 5 hours to Spokane–you should see how far my students have to drive for sporting events! Speech and Debate had to drive 9 hours to Billings for the State tournament. Two years ago I drove to Billings for the Montana Judicial Institute by myself, and realized it is actually the farthest I have ever driven by myself. I used to think it was a trek from Grand Rapids to Ann Arbor. Around here, for some, that’s going to the grocery store! On thing that was the same though–when I left for Billings it was 80 degrees. 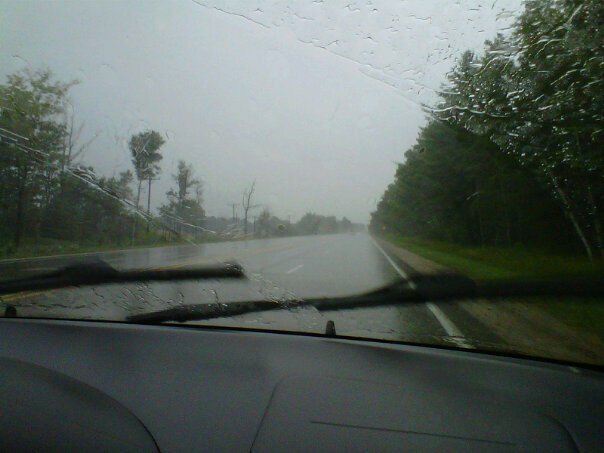 When I drove hime 3 days later, it was snowing. That’s a very Michigan-like weather change. I don’t have any tolerance for traffic any more. If I have to wait through two lights to turn onto the main drag off which I live, I’m annoyed (then silently apologize to the tourists I am mad at and thank them for spending money in our valley). The funny thing is, when I was 15 1/2, I learned to drive on the crazy busy 28th Street SE in Grand Rapids, Michigan. 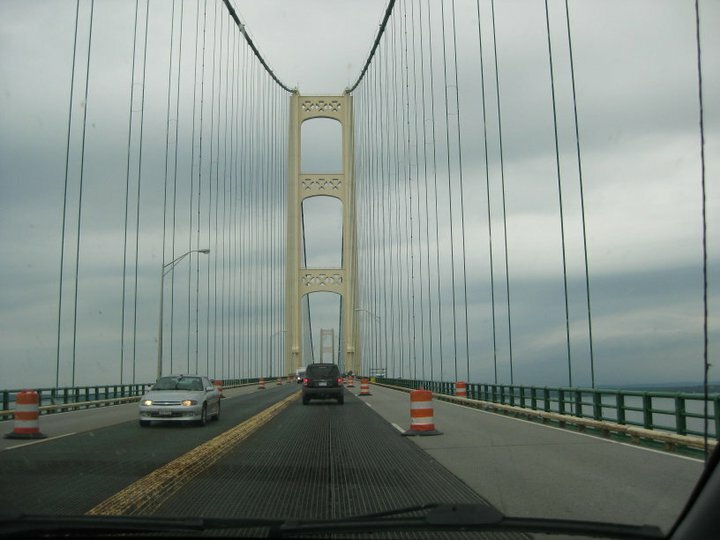 Then we had to get on the I-96 and drive to downtown Grand Rapids and navigate the one ways roads. My husband had the exact same Driver’s Training. I drove 28th Street, as my eleven year old says (ad nauseum) “like a boss”. I don’t even like to drive in Kalispell, these days. I am totally out of practice. When my family travels, we like to take the scenic backroads as much as possible anyway, so it is not helping us maintain our skills. 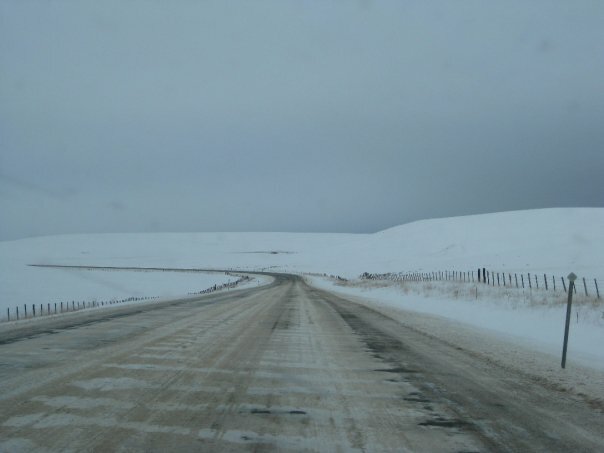 Another thing I had to get used to in Montana was the gravel they put on the roads in the winter. Very recently, the county began to spray a salt solution on the roads with the gravel, but before that it was just gravel. 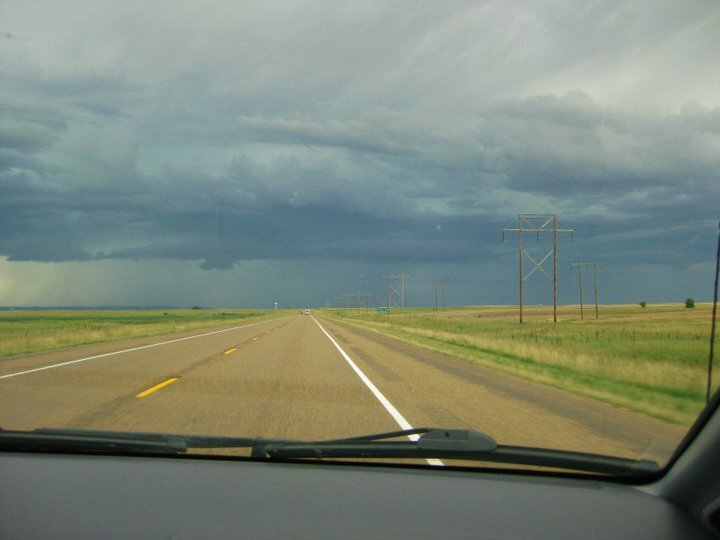 Whatever you do, don’t get attached to your windshield if you live/drive in Montana. You are bound to get a rock chip…I don’t know many people who don’t have one or a dozen. We get to use studded tires here…and Michigan drivers should get to as well. It isn’t like the roads could get any worse either place. I don’t think that has likely changed–just the terminology: potholes in the Mitten and chuckholes in the West. People plug in their cars, although I bet there are some Yoopers who do that, too. 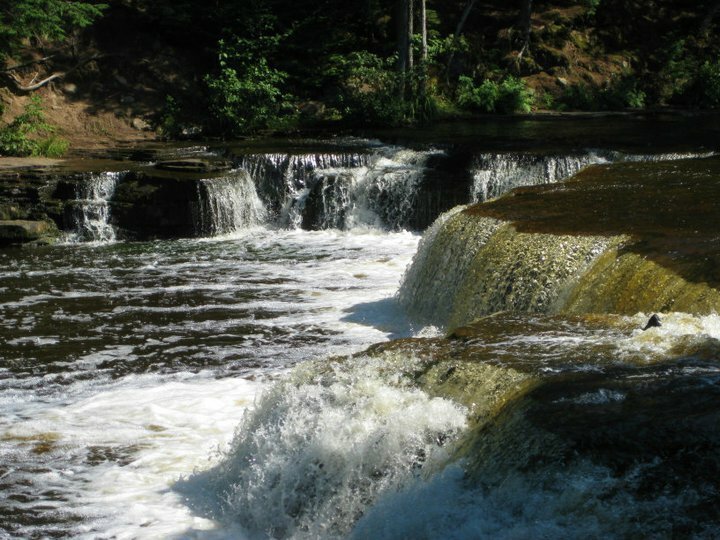 In fact, the UP is very similar to Montana in many ways–the back roads (perhaps more paved in Michigan), the water falls (the color of Montana water wins), the number of trees (more deciduous and orderly in MI, and more coniferous in MT). The fact is, I love both places. My home is in Montana, now, but a piece of my soul is still in Michigan. This is the first of likely many articles comparing my experiences in Michigan and Montana. What should the next topic be?